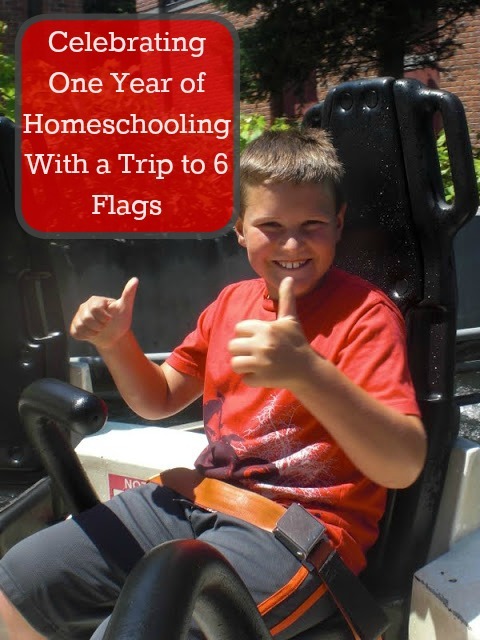 One year ago yesterday we started homeschooling! I can't help but want to celebrate. I also can't help looking back through the year and marveling at all that we have accomplished. It hasn't always been easy but I can't imagine my life any other way. I wanted us to become closer as a family and we have. I wanted the boys to gain confidence in themselves and they have. They've become more social, more assertive, and smile much more easily. We try to focus on family, fun, and making memories. They've learned many new life skills and have definitely picked up/ developed many new math facts, science concepts and history/ geography skills. We've learned to relax and enjoy life at a slower pace. We find learning in everything that we do and love all the hands- on ways we've found to make learning come alive. We had a family trip to Six Flags planned for the day before I even realized it was our one year anniversary but I couldn't have thought of a better way to celebrate. We couldn't have asked for a better day. The weather was perfect; sunny but not too hot since there was a nice breeze most of the day. The park was not at all crowded. Most rides found us walking right on and if we had to wait it was typically no more than 20 minutes or so. The boys all got along and waited patiently for one another to have their turn riding different rides. Ian's favorite was the old Superman ride; renamed Bizzaro and Alec and Evan loved Catwoman's Whip (two rides in the same area of the park even!). My favorite was Batman and our very last ride of the day found Evan a new favorite called Pandemonium. Alec is fascinated with the character Bizzaro now! of the park they got to ride a previously closed attraction! We met Scooby and Shaggy! Evan's final ride of the day becomes a fast favorite. It started getting pretty sunny and hot in the late afternoon, so we took a break from the rides, and tried out the waterpark where we ran into some family members very unexpectedly. The boys went in the wave pools, tried out several water slides and challenged themselves to make it across the pool using small floating islands. The boys talked us into buying souvenirs (something we weren't planning on); but even that turned out well. Evan really wanted a Batman superhero cape. After seeing them in every store we walked by all day long we finally agreed to buy him one after dinner. We soon discovered that kids batman capes were hard to find. After searching almost every store we stumbled upon a game that had capes for prizes. Kids play until they win and for only $5 we were able to get him his Batman cape (had we bought one it would have cost us $8!). Alec, seeing Evan's success at game playing, decided he wanted to play a soccer game. He saw a huge Pokémon stuffed animal and really wanted to bring it home with him. It was not a play 'til you win game though and so we warned him that he might not get anything. For $5 he got 5 shots to try and get a soccer ball into several "goals" set up. He tried his best but only got it in once (and I'm pretty sure the attendant gave him multiple "extra" shots and a bit of extra "help" to even make it in that one time!). He was told he could pick a ball out of the bin. He was quite disappointed and the attendant took pity on him. He allowed my husband to try for Alec and Alec walked away with a giant stuffed Pokémon character! My oldest son shopped for his souvenir and picked out a $5 bracelet. Oh wow, this looks like so much fun. 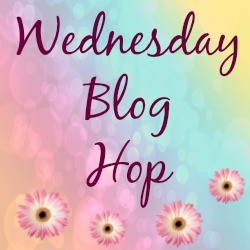 I bet it has been a great year having the children around more :) Thanks for sharing at the Wednesday blog hop. I am so glad you had great weather, the rides look fantastic especially the roller coaster. They do have some really amazing roller coasters.